Write it, plan it, and make it happen with Journal Studio by American Crafts! 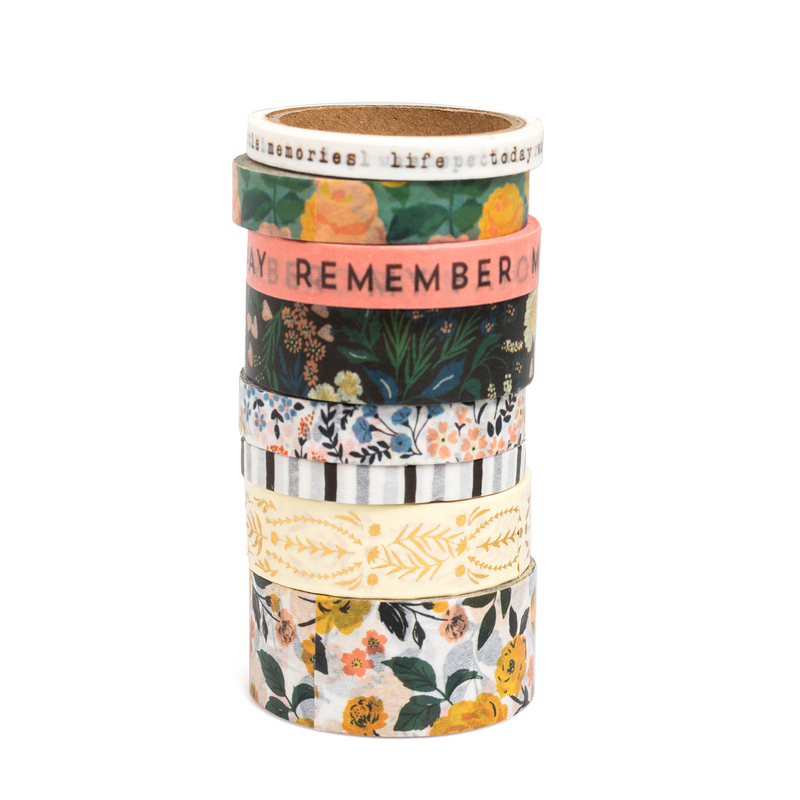 Take your favorite washi tape designs on-the-go! 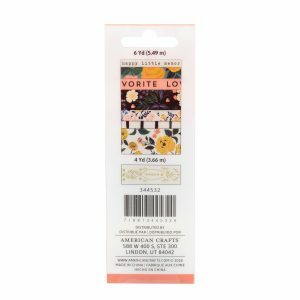 Crate Paper designs add beautifully soft colors and lovely floral patterns. 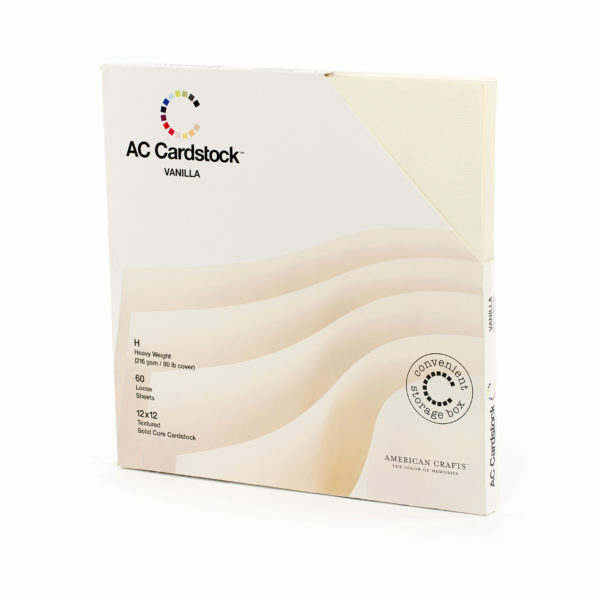 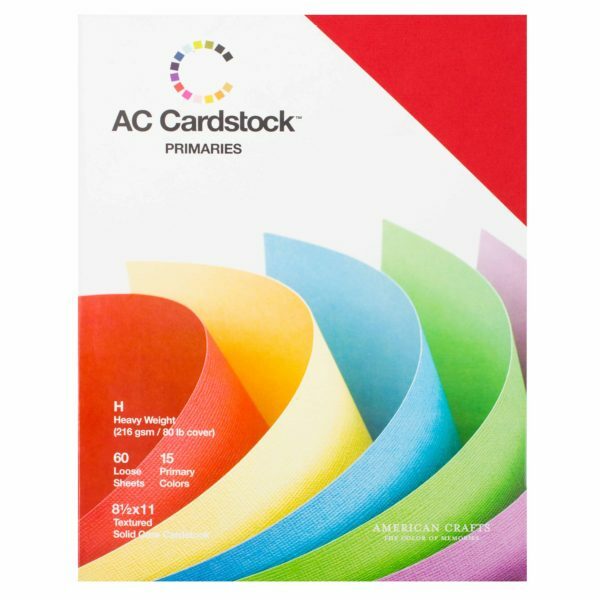 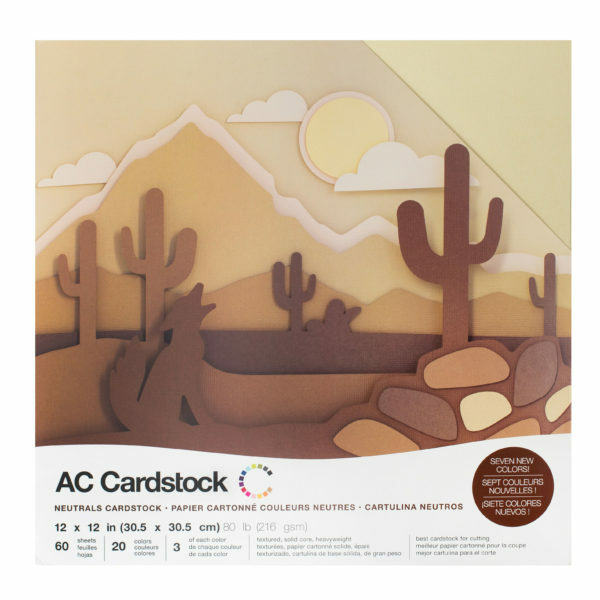 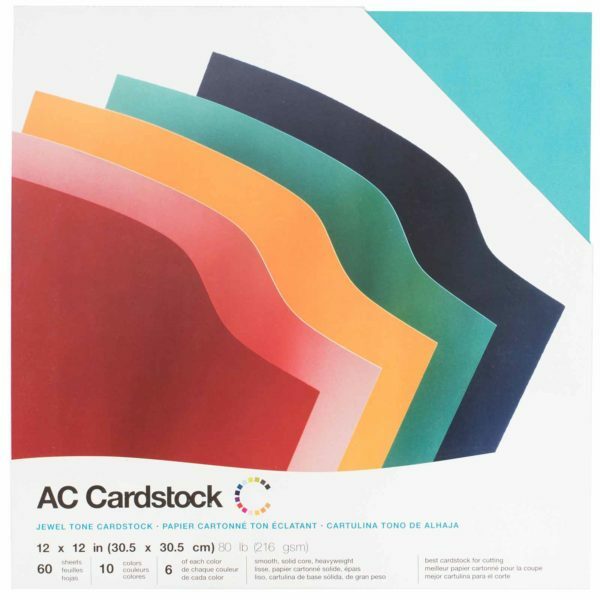 They’re perfect for adding colorful lists, borders, and embellishments. 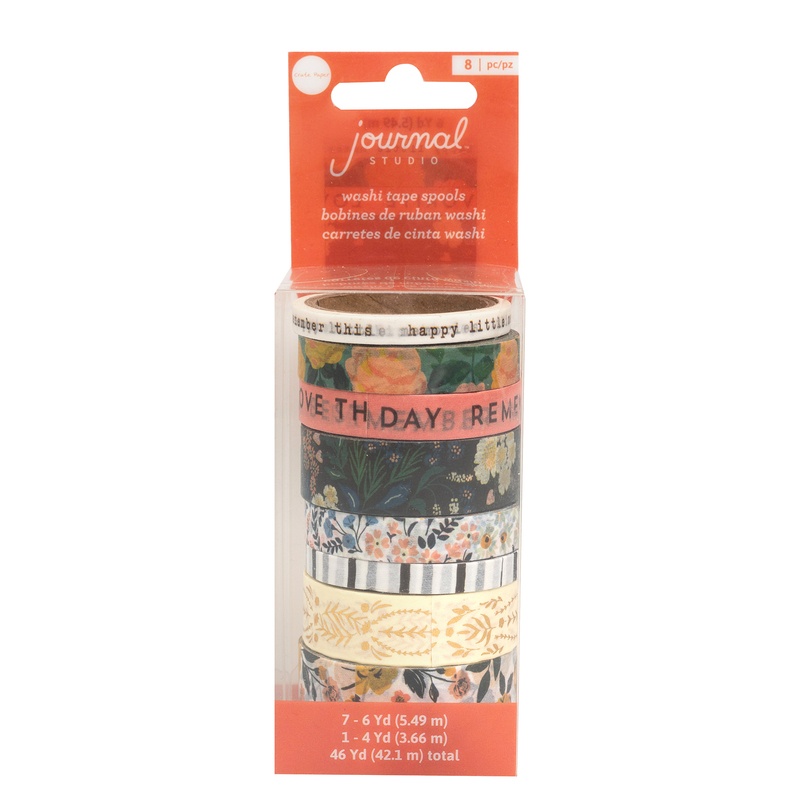 This package includes 8 rolls of Crate Paper washi tape with gold foil accents, perfect for journaling. 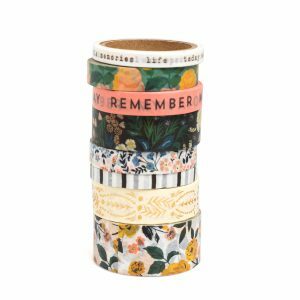 INCLUDES: 8 rolls of Crate Paper washi tape in a variety of designs with gold foil accents EMBELLISHMENT: Washi tape is the perfect on-the-go embellishment! MIX & MATCH: Mix & match colors and styles to create a journal uniquely you!